We buy houses in South Philadelphia in as little as seven days for cash, and you won’t pay any real estate agent commissions or listing fees whatsoever. We will also cover 100% of the closing costs, putting even more money back in your wallet. The catch? we will only pay up to 70% of your houses full market value minus any estimated repair costs that need to be performed in order to get the house up to it’s highest value. 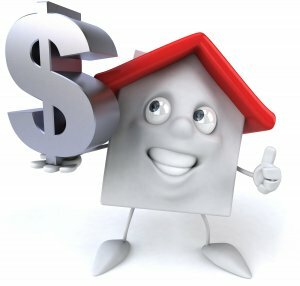 However, certain people in tough life situations will often find that they are in need of a much faster solution to their problems, and they seek the help of an experienced real estate investor, who can purchase their property quickly for cash in as little as one week, and they won’t have to pay any out of pocket, up front expenses. We buy homes fast for cash in South Philadelphia, PA in Point Breeze and the surrounding area. We are Rapid Home Liquidators, exactly as our name suggests, meaning that we will either buy your house cash in 7 days, or find one of our partners who will. We have partnered up with all of the other major local real estate investors in the South Philly region, and we can move any property quick without hesitation or delay. Give us a call or text right now at (215) 882-9828 to sell your Point Breeze house fast in South Philly today! 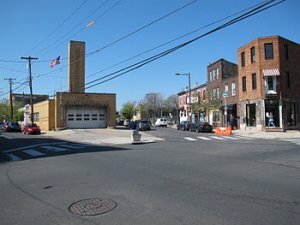 If you have been asking how can I sell my house fast south philly? then you are in luck, because we are professional real estate investors and home buyers who operate in the area, and we will purchase your home quickly using our own cash, and without any delays or deliberation. We will simply send out one of our rehab repair estimate specialists to do a thorough inspection of your property to determine how much it will cost us to fix it up to get it ready to be listed on the open market. It’s very important for us to get a good idea about how much the repairs will cost, because this will play a huge role when it comes time for us to fix it up and resell it. Estimating repairs is one of the most important parts of the process, and it usually only takes us a single visit to really drill down into the repair estimate, and get within 5 – 10% accuracy of the actual budget required to rehab the property. Once we have an accurate repair budget, we will then use our proprietary home buying formula and take 70% of the full market value (how much the house is worth once it’s fully fixed up at our expense) then we subtract out the estimated repair costs and that’s the number that we use to determine how much cash we can afford to pay for any specific home in the South Philly area. We stick to this formula like glue, and we do realize that it’s not going to work for every single situation. In some cases, the person may owe more than 70% of the full market value on the mortgage, in which case there are other alternative options as well such as a “subject to” real estate transaction, which involves leaving the current loan in place for a period of time while the investor takes over the payments for 6 months to a year, and then refinances or pays off the original loan.